Um, so here’s the deal. I love making appetizers and party food – I think I could eat finger foods for meals 5 days out of the week and be perfectly content! 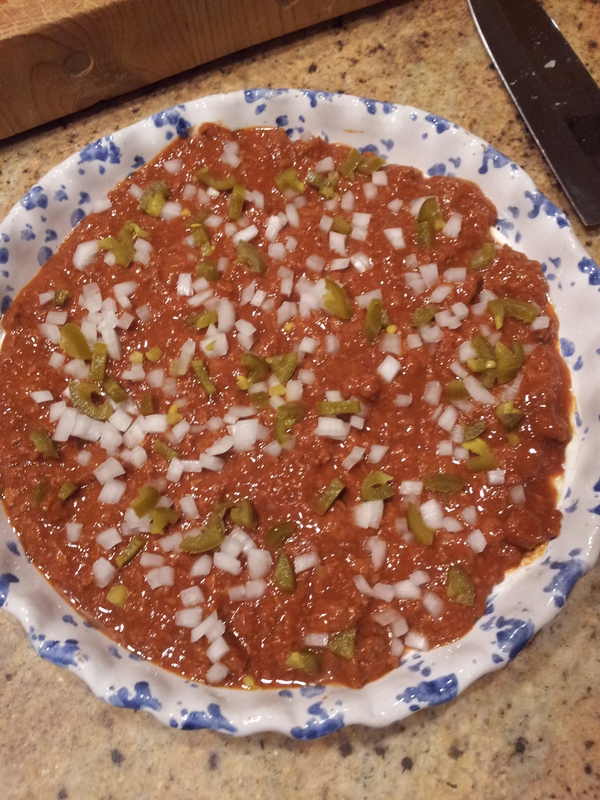 One of my favorite “party food” recipes (read: super easy) is a Mexican Dip my mom passed along to my sister and I. It’s seriously easy and is always a big hit. I am pretty sure it’s the first thing to disappear at any gathering. So for our 4th of July celebration (which we held on Tuesday, because who wants to go to work after a night of celebrating?) my husband really wanted to make some pulled pork and have tacos. I know, tacos for the 4th sounds crazy, right? But it was a fun little food theme and nobody really seemed to mind. Especially when I busted out the Mexican Party Dip. 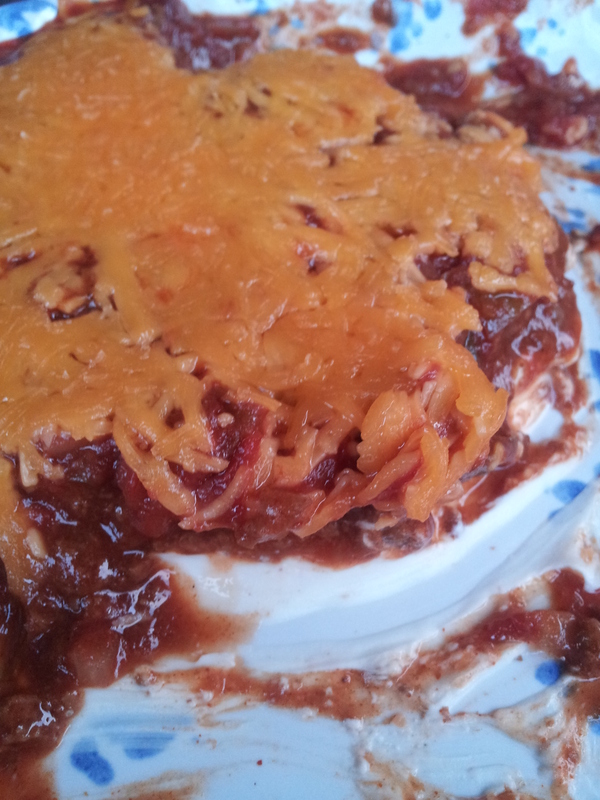 This recipe is so easy to “lighten up” by using fat-free cream cheese, turkey chili, fat-free cheddar and some baked Tostitos! 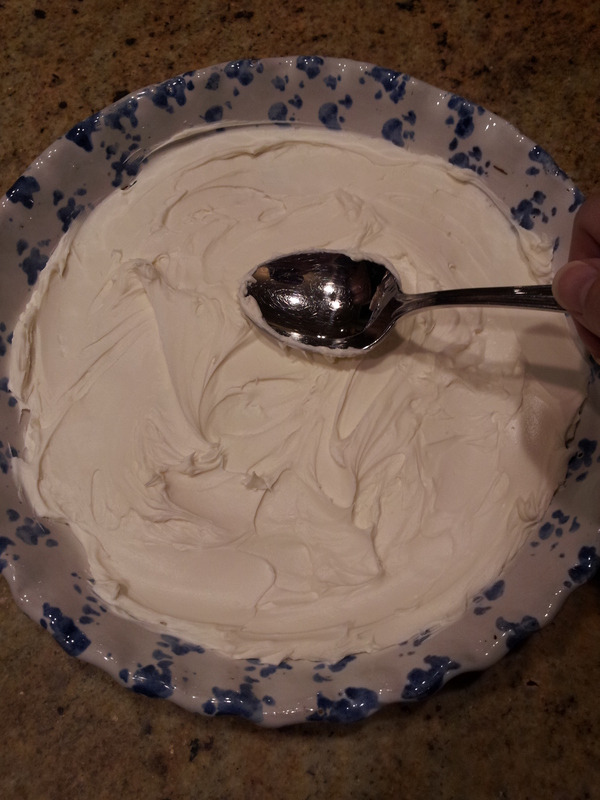 Take a medium, but fairly deep, baking dish and spread cream cheese in a layer, covering the entire bottom of the dish. I use a spoon to make sure it’s pressed up against the sides, creating a seal. 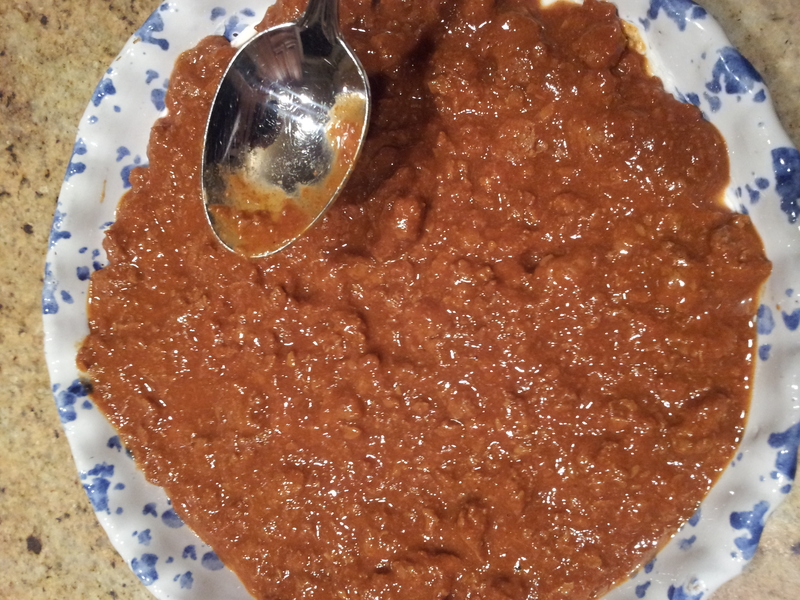 Pour chili over the cream cheese and spread evenly with a spoon. Sprinkle chopped onions and jalapeno over the chili. 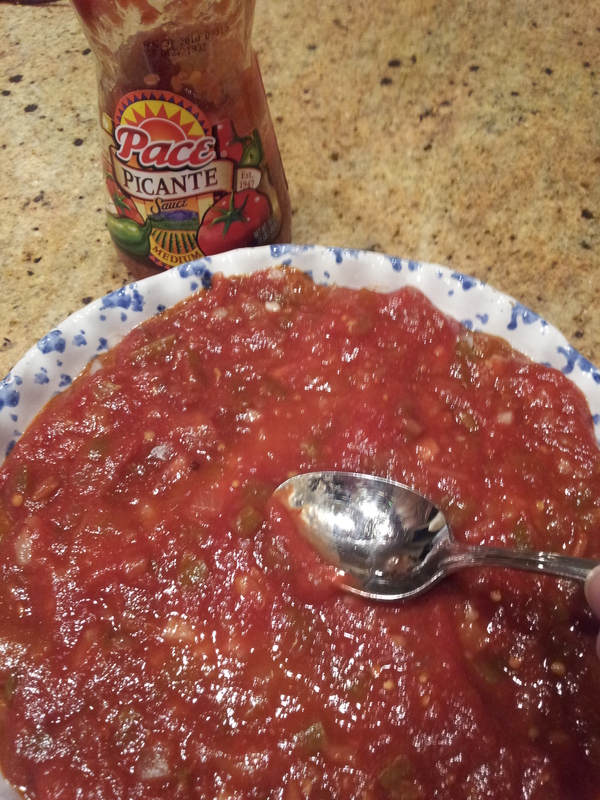 Pour Picante sauce on top – you don’t need a whole jar, maybe 3/4 – just enough to create a layer and cover the jalapenos and onions. 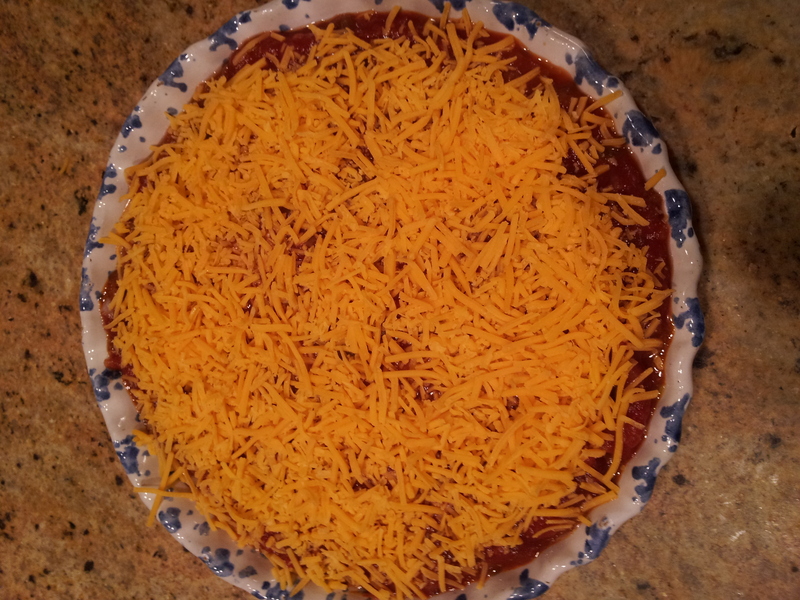 Now sprinkle the cheese on top of the salsa and you’re ready to bake. Place dish in the oven for 20 minutes or until cheese is melted and dip begins to bubble. Remove, scoop with chips and devour! At least the dip being demolished shortly after coming out of the oven is a testament to how delicious it is! So try it soon – you won’t regret it! I absolutely adore football – like seriously love it and actually understand and watch it – not just an excuse to get dressed up and tailgate (which I don’t think will ever make sense, but I digress). I love advertising – heck, I got a degree in it! And cooking…well, hello if you’re here then I think we know the answer to that. So what does this all mean? 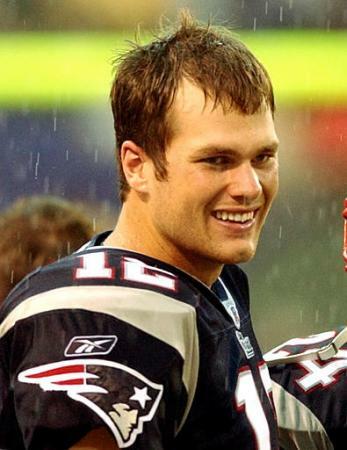 Well my friends, today is a day when some of my favorite things happen to intersect – it’s Super Bowl Sunday! A great game between the New York Giants and the New England Patriots (woo hoo) + yummy and delicious finger foods. Add in awesome commercials created by some of the greatest minds in the business and you have one happy Mary! You do NOT want to miss anything from your prime spot on the couch! This year, we’re playing it a little low key since I had been assuming my husband would be studying for his test (He flew in my friend Erin for my birthday last weekend – so he pushed back his studying a week so we could have some “us” time this weekend!). Yup – he’s a keeper! Now…while I like my football and do not have to find other things to entertain me today (although the Puppy Bowl is pretty darn tempting – so many cute flufferkins running around!) – I will give my non-football loving ladies a tip. ANY WHOO – here I am,quite unprepared to give you all of the recipes I’d be making if I were throwing a party – but I will not send you away empty handed! 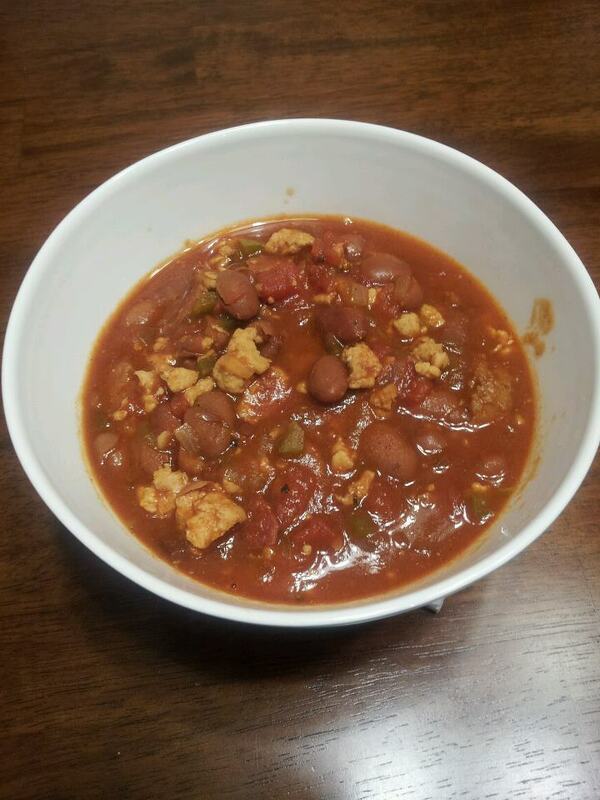 This is my favorite chili recipe that is perfect for today – because you can throw everything in your slow cooker before the game so that it’s ready to dish out at halftime. Low maintenance baby – gone are the days of making a chowder that involved me peeling 5 pounds of potatoes during the 2nd quarter. Begin by cooking your meats. I like to cook the sausage on the grill and then slice it when it has cooled – but you can also cook in a skillet if it’s too frigid for grilling (or, if you’re my sister and you need lessons on how to embrace the grill)! I cut about 1/4 inch thick slices. Cook your ground turkey in a skillet. Now slice your vegetables (onion, celery, green and red bell pepper, jalapenos) and put in a large bowl. Measure all of your dry seasonings (chili powder, oregano, cumin, basil, salt, pepper, cayenne, paprika, sugar) and set in a large bowl as well. Get your big mama of a slower cooker out. This tastes best when cooked at least 2 hours…but the more time it cooks, the better the flavors. If you only have 2-3 hours – use the high setting. If you have 4+ hours, use the low setting. Add the meats, beans, diced tomatoes, tomato paste, Worcestershire, hot sauce and beer. Add boulion cubes and bacon bits. Now add your chopped veggies and dry seasonings. Stir until everything is blended well. Cover and let it cook. Check with about 30 minutes left to stir and taste to see if you need any additional seasoning. Serve with cheese and any “other” garnishes you prefer.